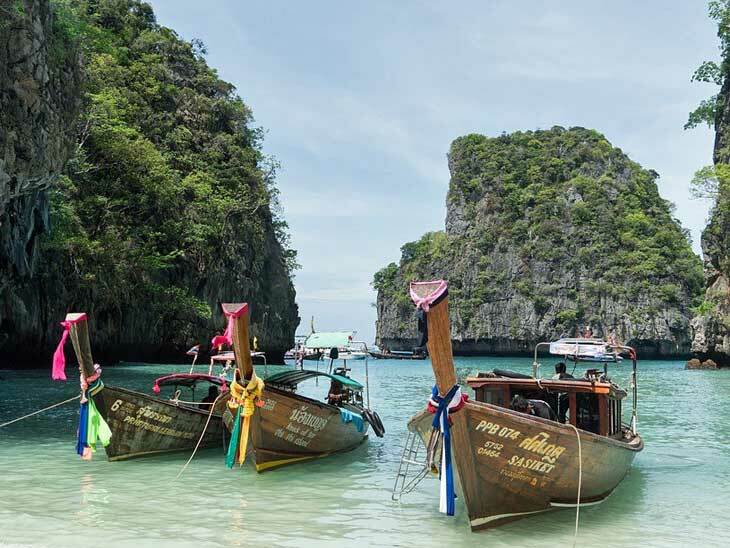 Phuket and its surrounding areas within Andaman region offer the world’s best holiday destinations and the world’s greatest dive sites. Some of the dive sites closer to Phuket might seem quite usual to most divers, but you shouldn’t give up on diving in Phuket just yet. With more than hundred dive sites in one-hour proximity to Phuket, there are quite a few hidden gems out there that will delight even the most experienced of us. Long tail boats in the Thai archipelago, somewhere around Phuket. With a warm weather year round, Phuket is suitable for diving in both low (May to December) and High (January to April) seasons. The water temperature is very comfortable, and it never drops below 27 degrees Celsius, which makes the conditions perfect for you to wear a three-millimeter short wetsuit. Most dive sites in Phuket require the very basic certification: Open Water Diver Certificate. Nonetheless, some of the gems on this list may need you to have an advanced certificate as some spots are located deeper than the Open Water Diver maximum depth limit of eighteen meters. All Phuket dive sites benefit from incredibly diverse marine life and crystal clear water, but some locations do even better than that. The only wreck dive close to Phuket, the King Cruiser is a great accidental addition to all other fantastic dive sites in Phuket. On 4th of May 1997, the crew of the King Cruiser ferry got distracted and accidently hit the Anemone reef. The ship sunk in less than two hours. Luckily, no one got hurt and what happened to be a massive disaster for the ferry transport company became a great success for the close by the dive centres. Requirements: Advanced Open Water, Open Water Divers should dive with a dive master or instructor. 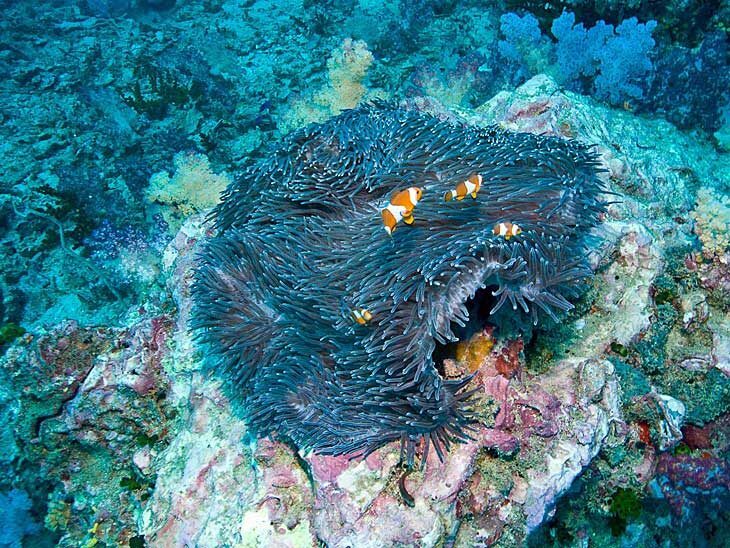 If you’ll decide to do the King Cruiser you might be lucky to do the Anemone reef on the same boat trip, as the dive sites are located in close proximity to each other. Anemone Reef features a massive, thirty-meter-tall limestone pinnacle is a perfect place to observe smaller marine life and soft coral. 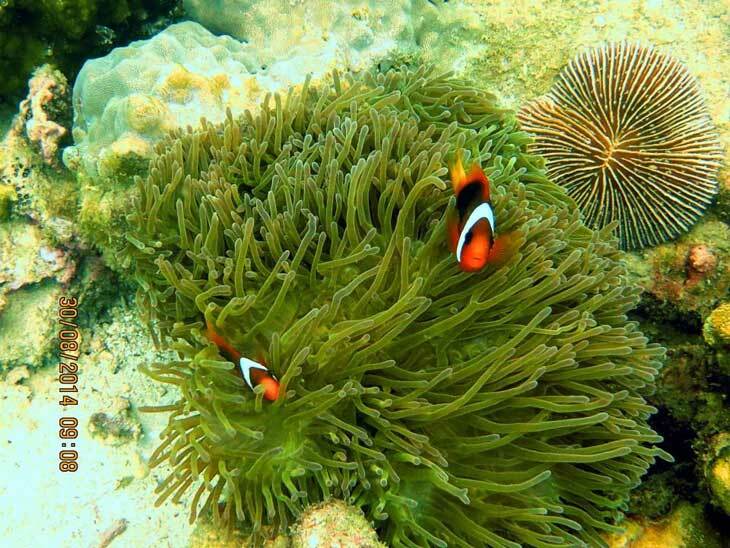 Clown Fish on Anemone Reef, not far from Kingcruiser Wreck in Phuket. For those of you interested in the marine life bigger in size Shark Point with its sandy seabed is one of the best dives in Phuket to see the big fish. The dive site is located within the Thai Marine Sanctuary and is very well protected by the government. The dive sites take its name from the Leopard sharks often resting at the bottom of the sea in this area. The sharks are well acquitted with divers and don’t shy away from a cute selfie taken together with them. Shark Point outside Phuket, Thailand. Hin Daeng together with Hin Muang were the first locations that made Thailand and Phuket popular with divers. Hin Daeng is located south of Phuket very close to the Malaysian border. Both dive sites are incredibly beautiful and are considered to be the best ones in Thailand. Since both dive sites are located further away from the coastline, they provide an incredible opportunity to spot various types of sharks in their natural habitat. 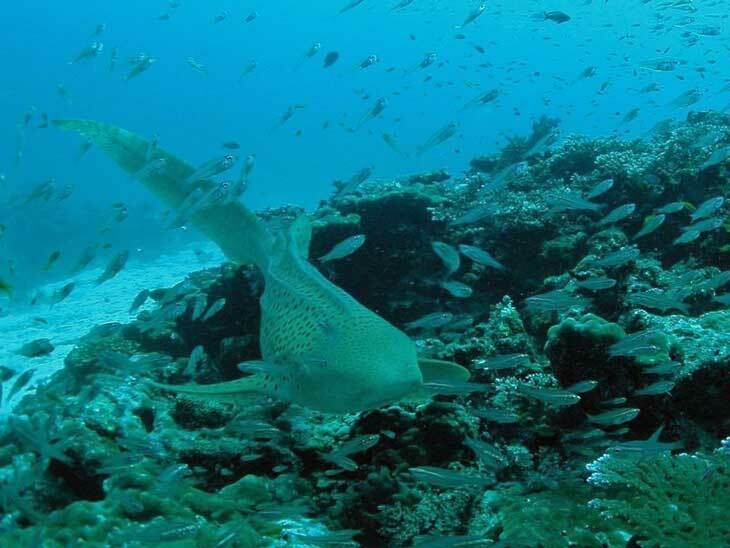 Leopard sharks, giant manta rays and grey reef sharks can all be easily seen in Hin Daeng & Hun Muang. Both, dive sites feature massive rock formations that stand at the depth well below the recreational dive limits. If you are lucky and the season is right, you might even see the world’s biggest fish: the gentle and rare whale shark. 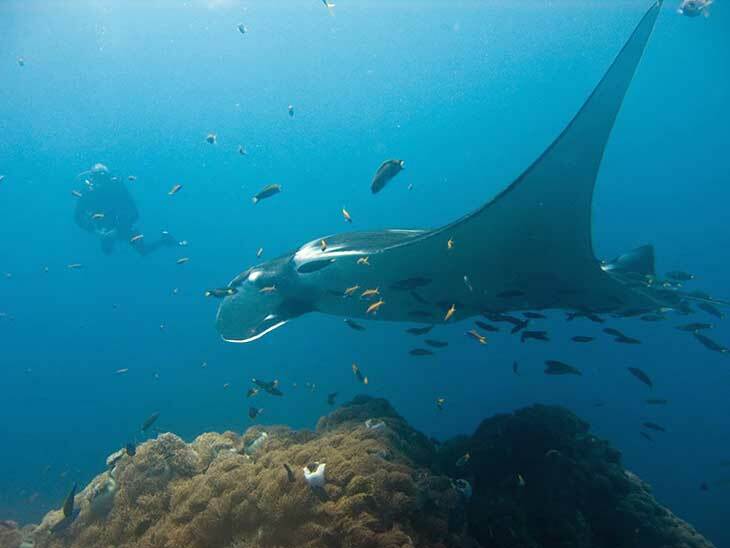 Manta Rays can be seen at Hin Daeng and Hin Muang, off Phuket. Requirements: Advanced Open Water. Most suitable for intermediate and experienced divers due to strong currents. No matter if you decide to go for a quick fun dive close to Phi Phi or embark on a journey to see whale sharks in Hin Daeng & Hin Muang, diving in Thailand and specifically in Phuket offer some once in a lifetime opportunity for both beginners and professional divers. Elina Pedersen is a traveler (over 60 countries) and a founder of ActivityFan. Elina was born in Estonia, but I lived in the Netherlands, Australia, the United States and the United Kingdom. Through her start-up, Elina encourages people to stay active and adventures and try something new each day. If you enjoyed this article, you might enjoy my other articles about Phuket. If you have more perfect dive spots in Phuket, please share via email, in the comments below, on Twitter, Facebook ,Instagram or Google+. Guest Post: The Canals of Dublin and The Places To Hangout Near Them!